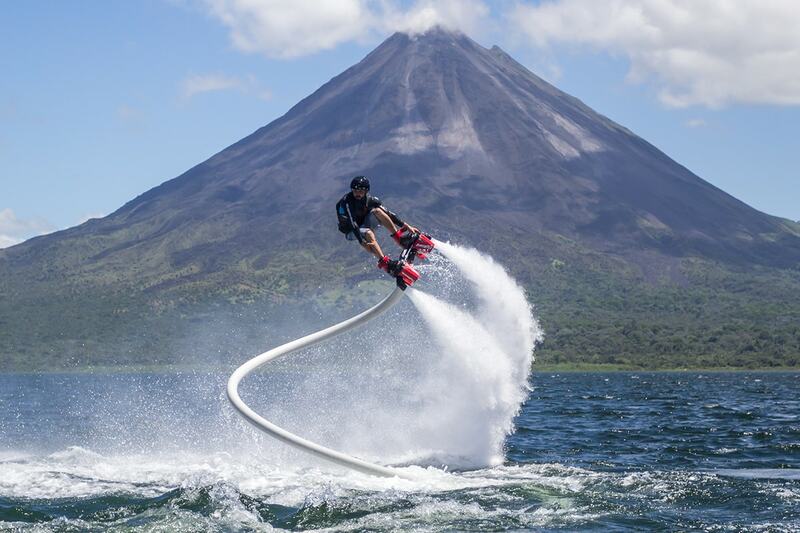 Arenal Lake is a truly incredible place, with all its natural surroundings that give beautiful sceneries, but now is also a place to have your adrenaline pumping. You can now enjoy a unique experience rocketing through the sky on our Flyboard. Flying over 10 meters above water, swimming like a dolphin, or compete with your friend on whether who can stay up the longest, riding a Flyboard is an experience like none other! Our Flyboard is a device which you will attach to your feet and that works with water propulsion provided from a sports watercraft to elevate you over 10 meters above water.